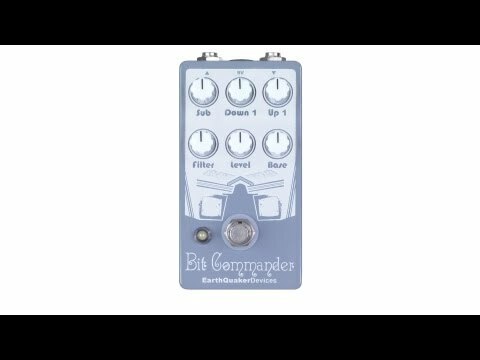 The Earthquaker Devices Bit Commander is a monophonic analog guitar synthesizer with four octaves of vintage square wave synth tones. Its no-nonsense interface makes it easy to add or subtract octaves to create a wide variety of sounds without having to dial in envelopes or oscillators. Ripping sub-octave thump, pulsing octave down, a lightly squared base tone and a swelling transformer based octave up all join together to make a single guitar sound like an army of olde tyme synths. At Concept Music we believe “Life’s Better When You Play!” It is why we are here and everything we do supports this philosophy. Whether you are a professional musician, an enthusiast or even a complete beginner who doesn’t know where on earth to start, we are here to help you on your musical journey and to share our own experiences and expertise. All of our staff are musicians who have professional playing experience and who are passionate about making music and who want you to enjoy playing music too. We are all keen to share our vast knowledge of instruments and brands and models with you and will happily talk to you all day about “all things musical” and of any aspect of playing, using or learning a musical instrument.